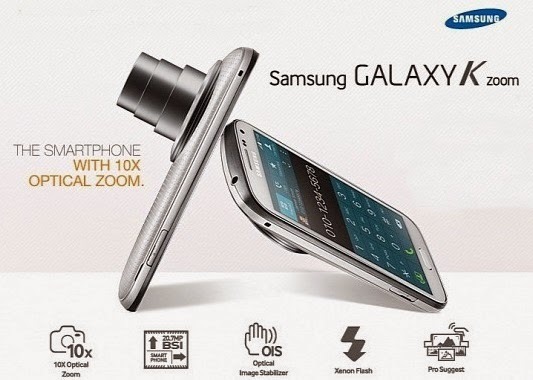 Samsung Galaxy K Zoom is a powerful smartphone on Galaxy Zoom Samsung focused on the camera optics and is basically a cross between a Smartphone and a high tech digital camera.It has physical shutter button with zoom ring which is easily controlled by the thumb. 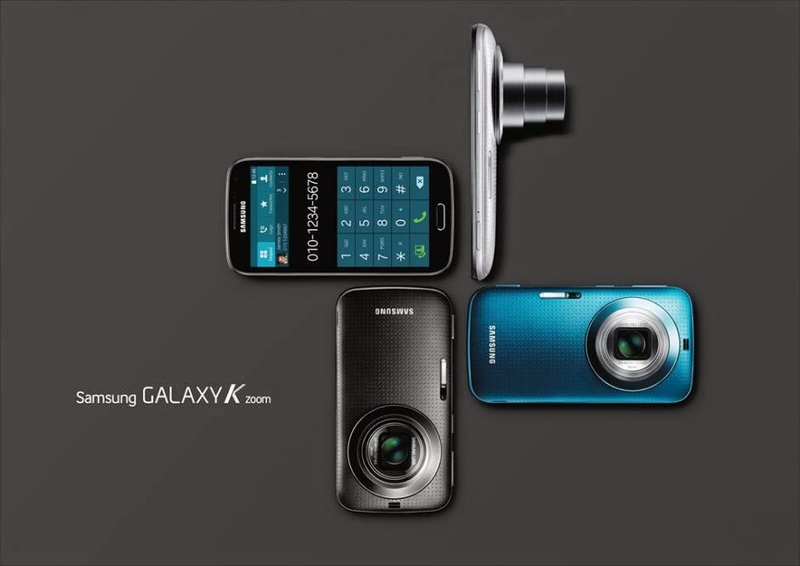 Samsung Galaxy K Zoom comes with Android 4.4.2-(Kit-Kat), 8 GB built-in storage with support of microSD 32 GB, 2 GB RAM, 1.3 GHz Quad-core Cortex A7 & 1.7 GHz dual-core Cortex A15, Mali-T624, 4.8-inches Super AMOLED capacitive touchscreen with 720 x 1280 pixels Resolution, Bluetooth, WLAN, GPRS, EDGE, GPS + A-GPS support & GLONASS, 3G, 4G LTE. If we are talking about Galaxy K Zoom Camera it has 20.7 Mega-Pixel camera with Auto/Manual Focus Features and 10 x optical zoom (24-240mm), Xenon with LED flash, Optical image stabilization, 1/2.3'' sensor size, Video (1080 p @60 fps), And 2 Mega-Pixel Front Camera.